Mildred Hubble lives an ordinary life with her mum Julie, until the day that Maud Spellbody crashes her broomstick into their balcony and nothing is ever the same again. Maud introduces Mildred to Cackle s Academy – a school for young witches set high on a mountaintop. Under the watchful eye of friendly headmistress Miss Cackle and scary deputy Miss Hardbroom, Mildred begins her training. But no matter how hard she tries, her spells have a habit of going badly wrong, causing chaos. 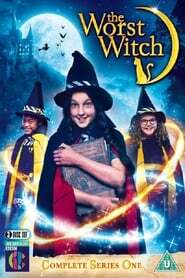 Will Mildred always be The Worst Witch..?